Make a perfect pineapple block every time! Jean Ann Wright shows how to create gorgeous pineapple block quilts using the amazing Pineapple Trim Tool that she designed for Creative Grids (CGRJAW3). 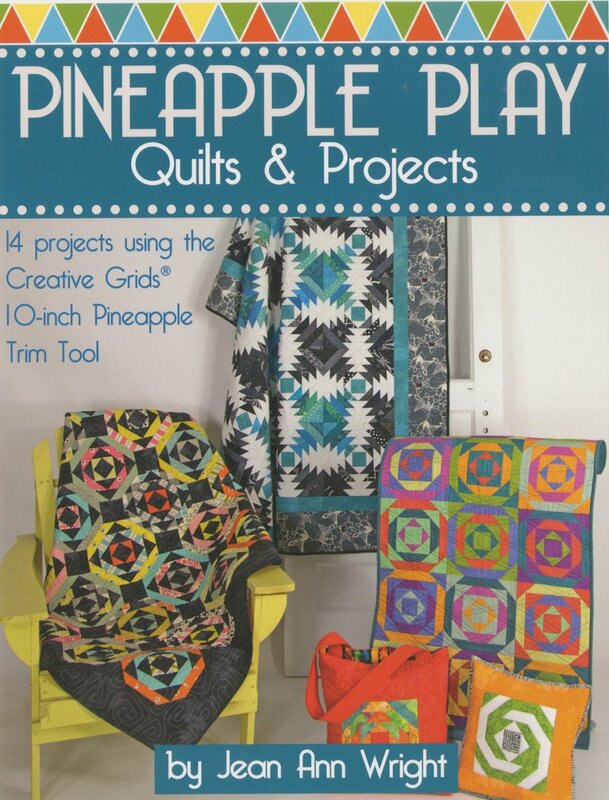 With fourteen playful, inspiring patterns and Jean Ann's clear, step-by-step instructions for using her handy ruler, quilters will discover all the fun and excitement of making pineapple quilt blocks. Just square up each round of strips as you go to create perfect 6-, 8-, or 10-inch finished blocks. No math necessary!